Congratulations! 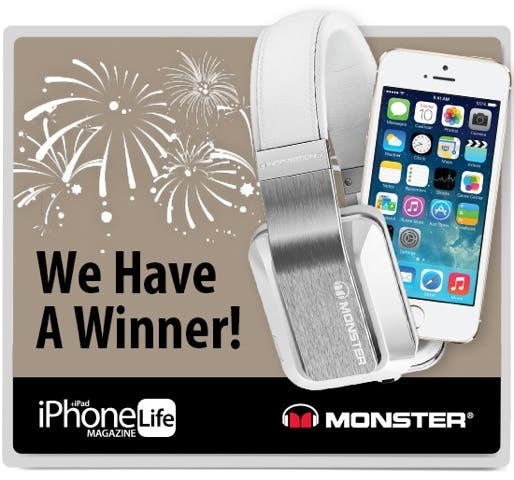 Enjoy being the envy of all your friends, family members, and coworkers as you flash that brand spankin' new gold iPhone 5s and rock those awesome Monster headphones around town. If you didn't win this time, stay tuned for our next giveaway! We're having so much fun giving stuff away, there's no way we're stopping now!